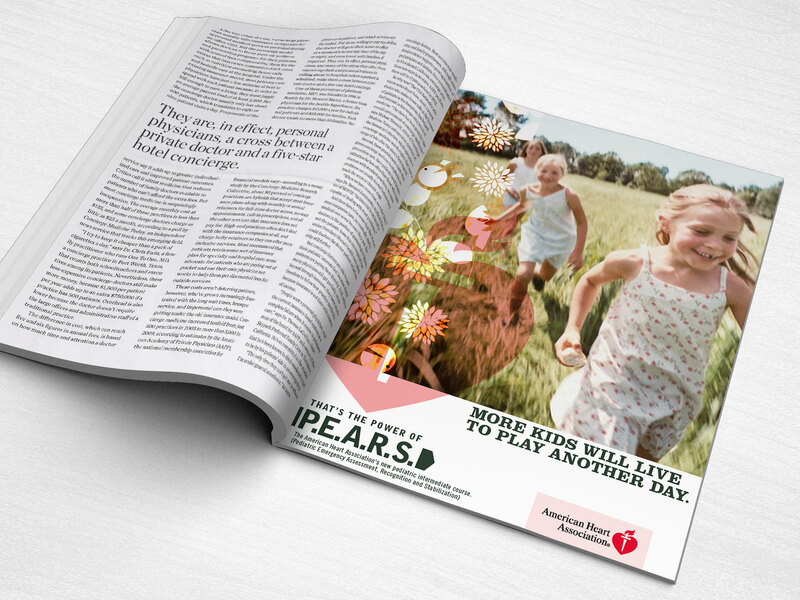 Print Advertisement for American Heart Association promoting the new P.E.A.R.S. program. P.E.A.R.S. helps healthcare providers develop the knowledge and skills needed for emergency evaluation and treatment of seriously ill infants and children. EXPLORE. DISCOVER. BUILD. I am a senior freelance art director/graphic designer in Dallas, TX, with over 20 years’ experience, working with ad agencies and also directly with clients. For me, the creative process is an adventure: EXPLORING the creative wilderness, DISCOVERING the big idea and then BUILDING it into a real game-changer. Thanks for your interest in my work.